The Ab Straps by Ultimate Body Press will help you get a slimmer waist and a stronger core as quickly as possible. 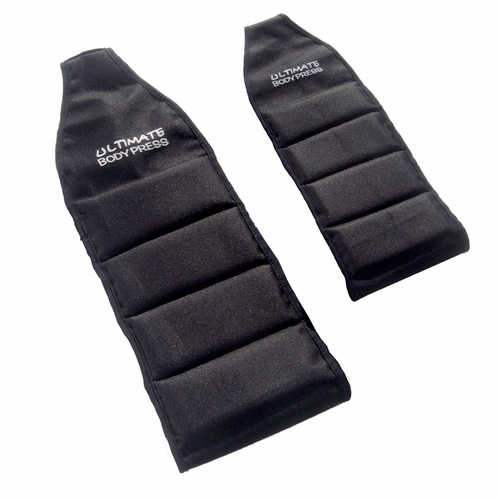 The key to Ultimate Body Press Abs straps are the sectional foam padding and adjustable loop size. 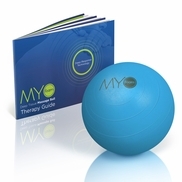 Greater comfort lets you maintain your workout intensity longer for incredible effectiveness. Using the extra wide Velcro on top of both Ab Strap you can adjust each loop to fit your arms. 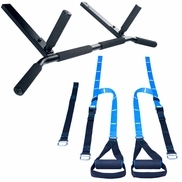 You can use the Ab Straps by Ultimate Body Press with wall mounted pull up bars, chin/dip stands and doorway pull up bars. The hanging knee raise is the best exercise for your abs, but you won?t do very many if you have to hang by your hands. 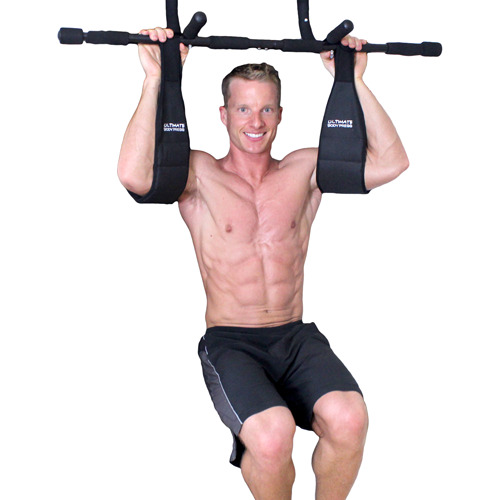 The Ab Straps eliminate the need to hang from your hands while performing hanging knee raises. After your first set of hanging knee raises you will feel the difference and you will be hooked. Ultimate Body Press Ab Straps5JimApril 13, 2014Works well, lets you concentrate on your abs instead of arm or grip strength. Ultimate Body Press Ab Straps5BoOctober 22, 2013Wow, I just put these on and I didn't even have to do any leg raises and already my abs were showing. They truly are a miracle. Ultimate Body Press Ab Straps5JeffMay 14, 2012These are a great addition to the pull up bar. Really helps a lot to work the entire core. Ultimate Body Press Ab Straps5hannahJanuary 14, 2011wow! the abs straps help me do more leg lifts and really hit my whole core! I'm so sore ~Thanks! Question: Hello, I'd like to know how much is for the shipping to Canada, I've tried to buy it, but my paypal account take like 6 days to process and it seems like you don't accept it like that. I have no credit card, what could I do? I really need this ab straps, thanks in advance. Question: Does this item work with the joist mounted pull up bar? 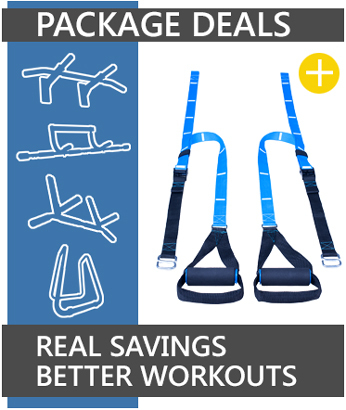 Question: What is the maximum weight rating for these straps? Answer: The velcro is 2 inches wide and no one has everreported it to fail. To find accurate shipping rates please add the items you wish to purchase to the shopping cart then click "Proceed to Checkout". Enter your address, choose your shipping method and click "Apply". 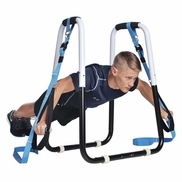 Question: whre do you hang this product to exercise?? Answer: The Ab Straps should hand from the neutral grips (parallel grips) of your pull up bar. Question: Can you hang this product from a door frame? 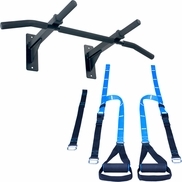 Answer: The ab straps are designed to hang from a pull up bar. You must have a pull up bar to hang these from. Question: can the ab strap be used with a solid bar with no opening to slide the ab straps onto the bar? such as tying them or velcro? Answer: The ab straps use heavy duty velcro so yes. Question: does it comes with metal hooks so I could unhook from the bar if not being used? Answer: The straps use heavy duty velcro to attach so you can take them off when not in use. Question: Is it a set of straps for 9.99 or is it 9.99 each? Answer: The price is for a pair. Question: where do you mount it on? or do you have to get a full machine? Answer: You need to purchase a pull up bar separately. Question: Do these only hang on the neutral grips or can they open up to hang from the bar? Answer: The ab straps will work on either the neutral grips or a straight bar.